Bratwurst and black forest cake. It wasn’t that long ago that riders showed up overweight and unfit for the early season races in southern Europe. Jan Ullrich got mocked for burying his face in a Schwarzwälder Kirschtorte rather than chewing the handlebars over winter. The German had plenty of company as he huffed and puffed his way around the likes of Andalucia and Murcia. These days Chris Froome and Alberto Contador turn up lean and mean for their very first race of the season, a fierce battle that picked up from last year and promises more for the coming weeks and months. It’s not just the story of the riders, the recent Vuelta a Andalucia included two summit finishes that would have been unheard of a decade ago, marking the evolution of early season races as they compete for attention. Reading quotes like this it’s easy to imagine Froome spent winter doing long, steady distance rides where the only “intervals” marked the distance ridden before each stop for a drink and a snack. 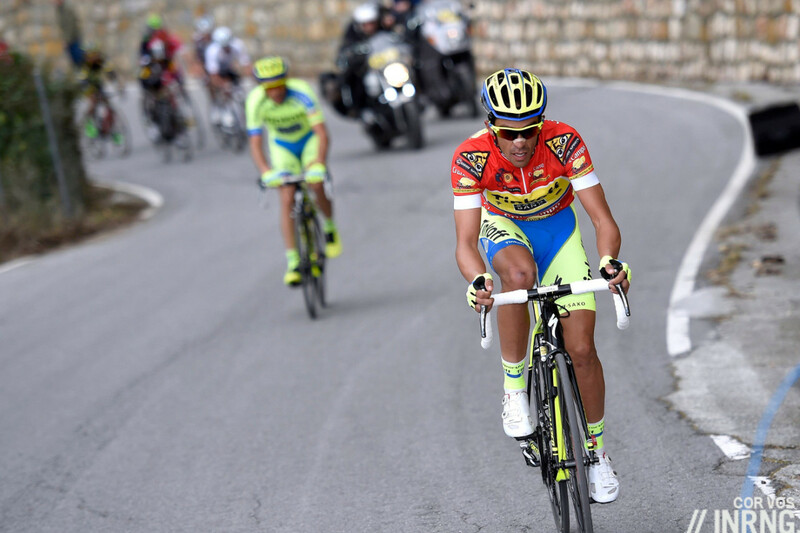 Contador too was giving the same signals with talk of a different approach, a gradual build to the Giro. 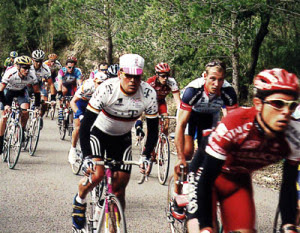 Reality proved otherwise and each of their mountain stage wins in Andalucia wasn’t by fluke, neither achieved by desperate wheelsucking nor crafty ploys, it was the simple application of power. One tactic for the early season would see team leaders easing themselves in by riding in the service of a team mate hoping for support in the future. It’s not a tactic that’s been abandoned – see Nibali pulling for Guardini in Dubai, for Fuglsang in Oman – but in Andalucia we saw Sky and Tinkoff-Saxo lining up behind their star riders. Tinkoff-Saxo shredded the race as soon as the road ramped up for the Hazas Llanas and Contador jumped away with 7km to go. The tables turned the next day with Kennaugh and Nieve leading for Sky before Froome took over. As such this wasn’t the mano-a-mano duel but team to team clash. It is not only the riders that have altered their approach but the the race itself has changed. This year’s route included the summit finish of Hazas Llanas, 8km of double-digit gradients. Hard enough to climb alone on a ride, something else when Tinkoff-Saxo team drops everyone and Contador solos away. A gamble by the race to probe the Sierra Nevada – you could see the snow beside the road – but it paid off on Friday. Saturday used the shorter but sharper Alto de las Allanadas, a partially tarmacked goat path. These kind of climbs are scary enough for the Vuelta in August or September and a relative novelty for February but they allow the star names to feature. If you can’t compete with a grand tour, you might as well copy it. As for the others, their timing suggests they’re weeks off rather than seconds down. Benat Intxausti is third overall at 2m32s, with Romain Bardet at 3m13s. It’ll take many training sessions to close the gap but there’s nothing to worry about. Take Bardet who would have been closer were it not for a puncture just before the start of the Alto de las Allanadas and he’s spent most of the winter training in central France rather than camps on Teide. Wilco Kelderman is looking good too, powerful in the time trials and at ease on the climbs and he’s still 23. It could all have been so different though with the crashes on the opening day which took out many riders before lunchtime and ruined the overall hopes of others. You make your own luck though by riding at the front when its windy and Sky and Tinkoff-Saxo again showed the discipline to be at the front although Blel Kadri might say it was clumsy at times too. Everyone knows you’re supposed to place your leader but doing it is hard. Oman has seen the sports TV equivalent of Schrödinger’s cat. There might be a race in the Gulf but it’s near impossible to observe so we have to make assumptions about what’s happening. Rafael Valls won after beating Tejay van Garderen to the finish on Green Mountain. This is a large, open and exposed road, there’s nowhere to hide so Valls didn’t fluke the win nor ambush van Garderen. Valls had long been tipped after an excellent pro debut in 2010 aged 22 which saw him place second a medium mountain stage of the Tour de France and possibly the only time we saw the Footon-Servetto team active in the race. Since then nothing, two years with Vacansoleil-DCM and barely a top-10 placing, he’s been the sort of rider who finishes 44th or 77th. If that’s not enough racing then there’s the Volta ao Algarve too. It’s only a bike ride away from the Vuelta a Andalucia but in Portugal of course we’ve seen some complete stage race action too ultimately won by Geraint Thomas of Sky. In France the two-day Tour du Haut Var offered something for the punchy riders – as well as bike thieves – with Ben Gastauer of Ag2r La Mondiale winning after taking the first stage, the second stage by Luka Mezgec of Giant-Alpecin ahead of Philippe Gilbert. 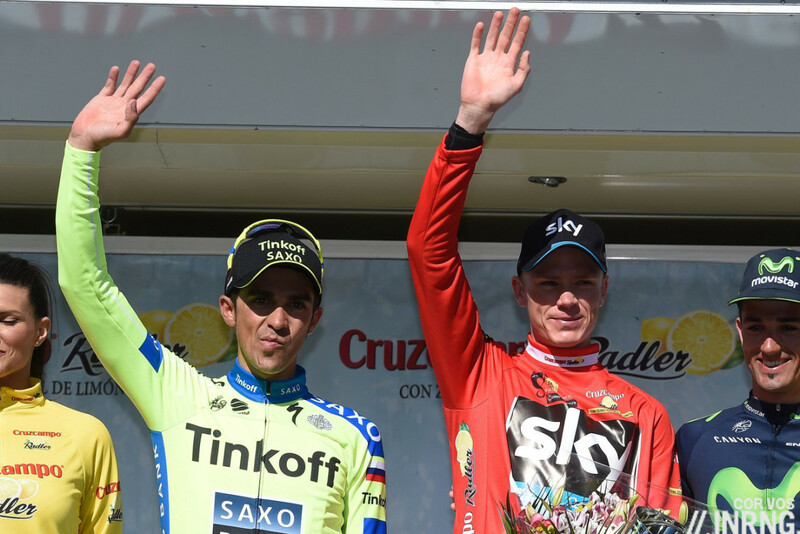 The Contador-Froome rivalry resumes in two weeks’ time at Tirreno-Adriatico. It won’t be the same though as the Queen Stage to Monte Terminillo uses a steady climb, hard but the kind of road you can drive a bus up. Expect more “I’m not in top condition yet” quotes as both try to play down their chances. Meanwhile they’ll be joined by a wider cast with a Vincenzo Nibali who was aggressive in Oman but off the pace and Nairo Quintana who should have been in Andalucia but was injured in the Colombian championships. After Contador and Froome will go their separate ways, it’s possible they won’t meet again in a race until the start of the Tour de France. Maybe it’s better that way too, we’ll see other contests and be left guessing for months. In the short term we’ll be talking about Flemish classics and cobbles this time next week. The race was also significant for the easy sprinting of Juan-José Lobato. He seemed so unused to repeat wins that he deployed the same “I’m on the phone” message for each of his two stage wins, a commercial nod to his cellular phone network sponsor. He was 4G to John Degenkolb’s 3G, the German was beaten but still the best of the rest. 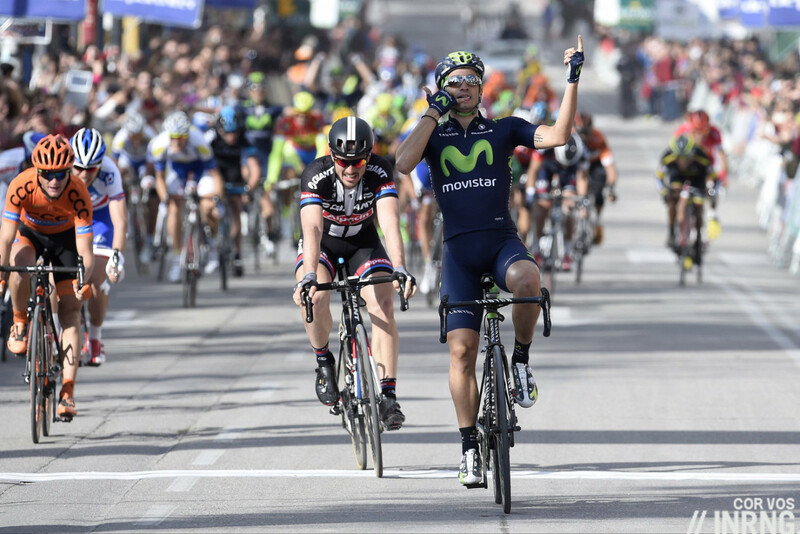 Lobato’s now a roaming outsider for Milan-Sanremo. The Vuelta a Andalucia has been an entertaining race. Compact but with an audacious route including two tricky summit finishes. Froome and Contador were minutes ahead of the rest, aided in great part by their teams. Their dominance makes it easier to view the contest as duel between two riders but Tirreno-Adriatico should bring a more sophisticated race even if the same outcome is possible. 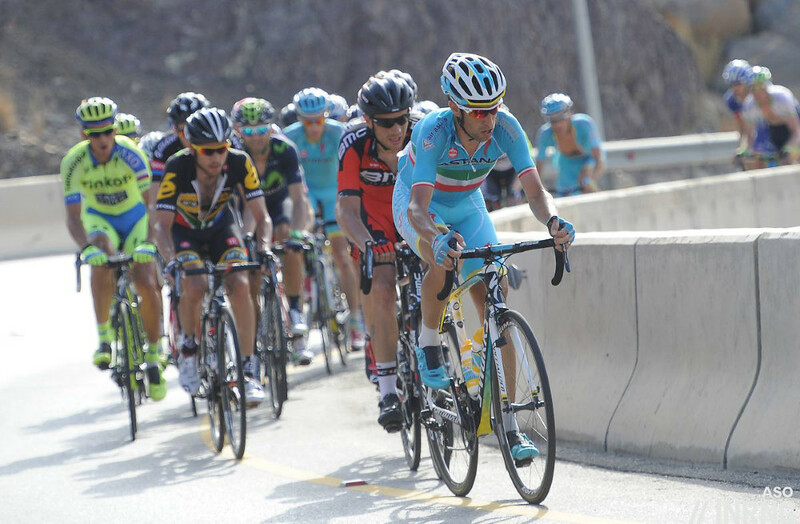 I want to see how Nibali stacks up. Team vs team! Sky wins as Tinkoff will support both GC and Segan. While Sky will support GC only. Lobato did the same with his Down Under stage win as well? Perhaps targeting the early season sprints. Yes, same celebration back then too. Perhaps targeting ‘performance’ bonuses from Movistar as well..? excellent round up as usual! Bring on the classics! All I hope for is the fights we were hoping for last year to fully materialise. With the “big 4” all on form at the right time, all 3 grand tours could be fantastic. The only truth so far is Sky may have slightly more depth, but Contador is the biggest fighter going, and that is, arguably, worth an extra man. His time at Cannondale proved that he COULD do it alone. But that was more a couple of years ago now than last year. For about 12 months its been a procession of 2nds and 4ths. He’s become the nearly man has Mr Sagan. The reason for this is clear to see. In ’12 and ’13 people were towing him to the line. But last year the other riders just refused to do that anymore and, as he had such a poor team and was usually left alone, that was that for Sagan. I thought he went to Tinkoff so he could get brought to the business end of races and do his thing? Or maybe he’s just lost that little something. At any rate, I think that with the likes of Kristoff, Degenkolb and Lobato about, to mention but a few, he now has it all to prove once more. The points system will be changed this July. We don’t know the new scoring system but the idea is a system where the “fastest sprinter” is the one in the green jersey, as opposed to the rider winning intermediate sprints and finishing 4th on each stage. Aren’t Contador and Froome supposed to meet each other at Catalunya too? It looked uncertain last night but today’s press says they will. Excellent coverage Inrng and great to enjoy this early doors spat on Eurosport (good co-commentary by Matt Stephens) Twenty years ago I was hungry for any snippet of this, and the other Spanish coastal warm ups via the Comic, then had to wait a month or so for the glorious Monthly magazine shots, often used for Calendar spreads also. Back then we were totally reliant on very scant reports of these races. How times change, along with equipment and waistband sizes, we are almost overfed now with coverage and analysis. In a way it has taken away some of that wide eyed wonder of these brightly lit Mediterranean races but thats life I suppose, the world moves on. Forgot my tag (as always) on above post, sorry. If INRNG had as many watts as he did puns, he’d be on the other side of this blog. Could Valls and Lobato rise to fill the void behind the aging Spanish stars? Ruben Fernandez and Marc Soler have had a good start to the season too, much quieter but solid. Interesting from Froome on his training so far – in his book, he says he doesn’t believe in early-season base training, and always rides high intensity intervals. Has he changed his mind? 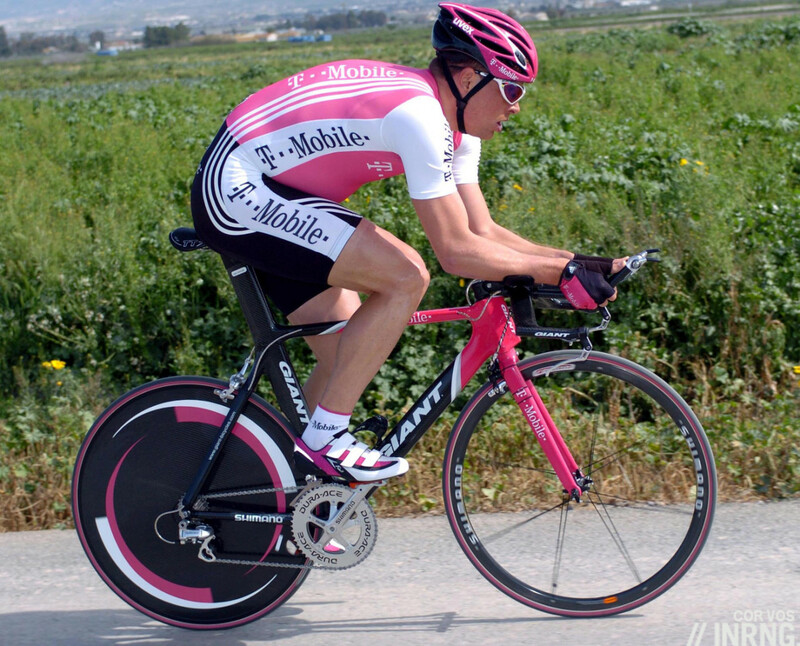 Love that picture of Ullrich. The big boys do seem to be coming out of the blocks hard this year so it’ll be interesting to see how they play the rest of the year. To be fair to Ullrich, that’s not a beer belly. That’s his abdominal muscles pulling out to allow his diaphragm to pull his lungs down toward his gut as much as possible, to allow his lungs to expand to the greatest extent and take in as much air as possible. I.e. he’s in full breath there. I second that Paul. That’s exactly what I was thinking looking at the picture! He was overweight as well. In the time trial above from the Vuelta a Murcia he finished a long way down. But not to dwell on Ullrich, his case is his own: there was a more general trend to ease into the season. We got Oman here in Rome via SKY’s Bike Channel complete with commentary by Paolo Savoldelli. I wonder why races in February like the Ruta del Sol need to have these extreme climbs? Interesting to me that while there are calls for making the cycling season less demanding by shortening the grand tours and other schemes, guys like Froome show up in February in what looks like July condition. If they’d all go back to the old “ride-into-shape” mode at this time of year, perhaps the season wouldn’t be so long and demanding? How many training peaks will Froome go through before showing up at Le Beeg Shew in July? I have mixed feelings about this years Ruta del Sol, too. On one hand it’s nice to watch, on the other hand I am not quite sure what to make of it. Felt strange. Poor Ulle, never can escape this image! ‘the gut old days’ brilliant! Echo some of the thoughts above, strange watching such a race played out like it did in February, it felt more like May. My thinking was that the Ruta had to jazz things up what with the competition from the Sand races and the fact that the Spanish economy being as it is then this race could quite easily have become a thing of memory. I reached the same conclusion. But no matter why the organizers included those mountain stages it turned out to be quite spectacular. I enjoyed last week with so many races to watch simultaneously. Inr used the phrase “compact race”. I like this phrase and think that many a race organizer could benefit from looking at how this 5 day race played out. Short sharp stages, allowing for good TV and an exciting race. I must admit I was surprised by such a comment. Isn’t it curious one would say that, after blowing away the entire field including a Contador whom in Froome’s words “he doesn’t expect to be anywhere close to”. How can you demolish a field like that with ‘a good foundation, but lacking intensity’. It is almost an insult to other riders who try their hardest during the ‘foundation’ months. I.e. what does such a comment mean from a media-trained professional rider? I believe the quote was given the day of Contador’s victory but one shouldn’t believe much of what these racers say about their condition or preparation. It’s all meant to moderate expectations in the media. That kind of sandbagging is as old as the sport. How many times have you met up with a cycling pal who told you the old “Well, I haven’t been riding much so we’ll have to take it easy” only to try to rip your legs off at the first city limit sign or first hill? Only later do you find out you’ve been sandbagged by someone who’d been doing a ton of training. In my mind one of the big reasons guys like Froome get into this condition in a meaningless month like February is to screw with the minds of their competitors. Guys like Contador or Nibali are way too smart to fall for this trick and start overtraining themselves so they can be burned out come July…but it doesn’t stop guys like Froome from trying. Same as it ever was. “Guys like Froome”? You are aware Froome lost the day before? Whatever “condition” he is in he wasn’t good enough to beat Contador on one climb and in an ITT. And yet you make it sound like he came to the race in tip top condition expressly to mess with Alberto’s mind. Sorry, I don’t see it. A better narrative is that we have two riders here going through their training program who are able to trade wins at this stage of the season. That’s a good thing. “..one of the big reasons…” is what I wrote. Far different than “came to the race in tip top condition expressly to mess with Alberto’s mind.” which is what you wrote. There are others to impress with great form though “I haven’t done much intensity training…” than just Il Pistolero. To me a lot of this early season stuff is merely posturing and mind games as the races are pretty much of zero consequence and as noted by Mr. Innrg are far from the get-in-racing shape projects they used to be, which is what I tried to explain to dmitri. Agree with your riding-mate analogy, but it would be very impolite of your friend to blow you to bits and THEN say he’s been doing hardly any training. You do the sandbagging up front, then confess (or at least stay quiet) afterwards. It’s bit like Cav’s claim, after his completely dominant season, that he never had to sprint at more than 90%. Just a bit arrogant and insulting to the others. like… why are they wearing baseball hats though? As you mention, this was as much about their teams as it was about Contador and Froome going ‘mano e mano’. On that basis I thought one of the most interesting sidelines in the race was the way Sky raced in Froomes’ stage win. Usually we’d see the SkyTrain wearing down the opposition but instead we saw a series of counter attacks. Maybe new tactics at play? If so, a change from the past and far more entertaining to this viewer. I thought the Sky team selection for the Ruta del Sol was a stellar team. This seems to be vindicated as a judgment in that they won the team prize by nine and a half minutes. I would have all but Xabier Zandio in the TdF team. When you consider that they can add Porte, Thomas and probably Eisel to the guys they had here that is one motherlode of a squad. It might also give them options for the Tour if they can have 2 or even 3 riders near the top ten. That’s what happened on stage four when the likes of Kennaugh and Nieve, high up on GC, could attack and couldn’t be ignored. Is this the year Sky bites back? They’ve certainly enjoyed a great start to the year after falling away in ’14. I think froome and contador are pretty well matched with contador just having the edge. The tdf is going to boil down to Bertie’s recovery after the giro. I’m not his biggest fan but I would love to see him win the double as I think he’s the only rider of this generation capable of doing so. Nice to see sky have some lead back in their pencil after an almost barren 2014. I wish Nairo as speedy recovery and hope Vinnies training plan continues to progress. I really enjoyed the Andalucia, I got annoyed at Sky for being asleep as Bertie road away and fell in love with them when Froome powered away and Sky go the tactics right. The summit finishes made my legs hurt just watching and I have now put this race on my radar to visit in person. They are going to meet each other at every single race that Contador will ride except the Giro. I’d say that is much, but apparently you don’t think so? To date, AC plans to ride T-A and Catalunya. Then, take a break until the Giro, 40 days. Take another break until the TdF..
Any news on Froome ? I’m thinking he does P-N and Catalunya. At any rate, the racing has been great this winter. Too bad stage five of Oman got cancelled. Looked like a warm weather version of many Spring classics. Really hill in the finale.